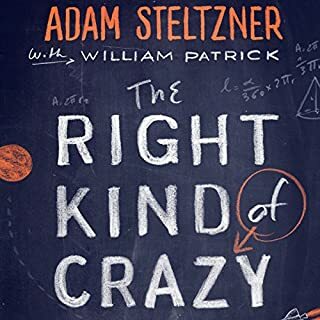 Few organizations solve as many impossible problems as NASA's Jet Propulsion Laboratory, and nobody knows more about leading rocket scientists to unlikely breakthroughs than Adam Steltzner. As the phase lead and development manager for EDL (entry, descent, and landing) of the Curiosity rover to Mars, Steltzner spearheaded the creation of one of engineering's wackiest kluges - the sky crane, which allowed the heaviest rover in the history of space exploration to land on Mars unscathed. Wasn't what I was hoping. I'm not often planning a 10-year mission to land a Mini Cooper-sized UFO on a hostile planet like Mars but the lessons Steltzner suffers through while doing just this can be applied to every day life. I'm a space and business geek...this satisfies both sides of that coin. As a leader, changing your mind has always been perceived as a weakness. Not anymore. In a world that's changing faster than ever, successful leaders realize that a genuine willingness to change their own minds is the ultimate competitive advantage. 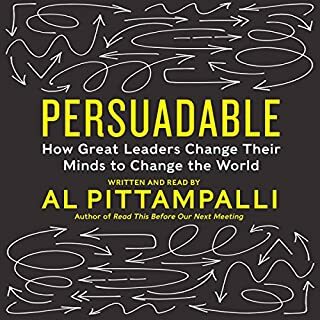 Drawing on evidence from social science, history, politics, and more, business consultant Al Pittampalli reveals why confidence, consistency, and conviction are increasingly becoming liabilities. I'm a sucker for books with great stories and this is one of them. 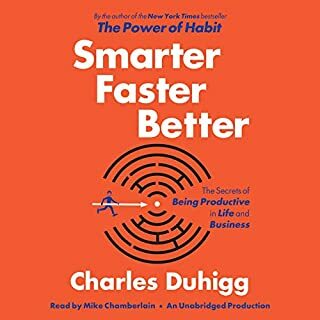 I don't know that there is anything different in the book if you've read Cialdini or the Heath brothers except a bunch of new stories. As a guy who thought it was his duty to try to be right most of his life this book has reinforced my "older age" belief that minds were made to be changed when presented with new information - and that's ok. Enjoyed it. Wish I had read it when I was 20...would have saved myself a lot of arguments. In Connectography, visionary strategist Parag Khanna travels from Ukraine to Iran, Mongolia to North Korea, Pakistan to Nigeria, and across the Arctic Circle to explain the unprecedented changes affecting every part of the planet. He shows how militaries are deployed to protect supply chains as much as borders, and how nations are less at war over territory than engaged in tugs-of-war over pipelines, railways, shipping lanes, and Internet cables. The new arms race is to connect to the most markets. I really enjoyed this book. It is dense but the macro concepts are so important. In a nutshell: Man-made borders are not as important as man-made supply chains. Nation building within man-made borders is not as important as group affinity - think along the lines of "I'm a Google'r" vs "I'm Canadian". Overall a really great read to understand how connectivity is the juice for the next generation. 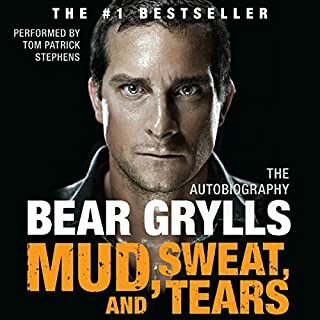 Already a number-one London Sunday Times best seller, Mud, Sweat, and Tears is the adrenaline-fueled autobiography of the mega-popular star of the hit survival series Man vs. Wild, adventurer Bear Grylls. A former British Special Forces commando, a man who has always sought the ultimate in dangerous challenges, Bear's true story reads like an outdoors action-and-adventure novel. But Bear's story is true - full of breathtaking escapes and remarkable exploits that would make any Jack London or H. Ryder Haggard hero proud. Had no idea Bear had such an incredible past - SAS, broken back, Everest. The SAS stuff was waaaaay too long and, quite frankly, took away from his story. The highlight was his Everest climb. Absolutely gripping from start to finish. I liked the way he wrote the book - very conversational and relaxed. I wish he talked more about his shows - somewhat anecdotal mentions near the end. A little more detail would be welcomed. All in all, this was a decent read and if you are interested in what makes a guy like that tick, it's worth the effort. 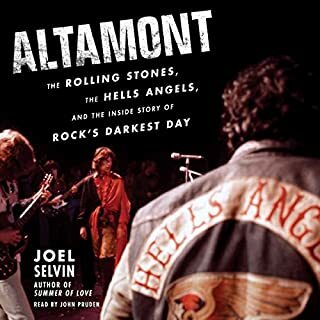 In this breathtaking cultural history filled with exclusive, never-before-revealed details, celebrated rock journalist Joel Selvin tells the definitive story of the Rolling Stones' infamous Altamont concert in San Francisco, the disastrous historic event that marked the end of the idealistic 1960s. This book had me from the start - mostly because of the time and the players. The Rolling Stones, The Grateful Dead, Santana, Jefferson Airplane, CSNY and the end of the peace movement. The Rolling Stones were ruthless in their pursuit of fame and, after reading this book, you will understand the paths that these various bands that performed (or opted not to perform) took. The Stones skyrocketing and the Dead moving back to their roots and away from the spotlight. This is the story of the end for so many things and is so very well told. * I also had no idea that the Rolling Stones were such assholes! I actually enjoyed this book more than the 3 stars I gave it but I'm really not sure what the point of it was. Great stories told in an easy to digest way but not as good or focused as his first book. Good for stories but bad for productivity learning. 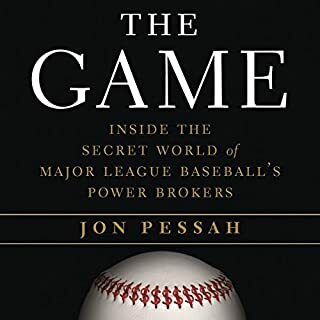 If you are a fan of the business of baseball - the way it works behind the scenes - this is the book you've been waiting for. 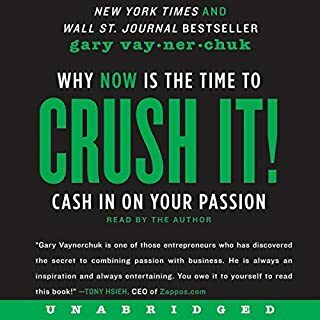 Listened to this after reading the hardcover version and found this one suits Gary's style much more than print. His energy and off-the-cuff comments (what he calls offscript) are worth the listen even if you've read the book already. Only complaint? It's too short!!! Today, encyclopedias, jetliners, operating systems, mutual funds, and many other items are being created by teams numbering in the thousands or even millions. 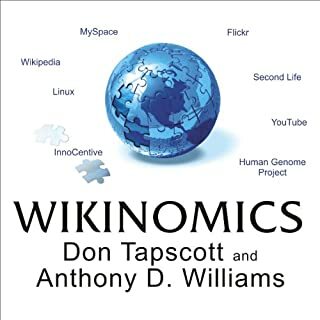 While some leaders fear the burgeoning growth of these massive online communities, Wikinomics proves this fear is folly. Smart firms can harness collective capability and genius to spur innovation, growth, and success. Absolutely nothing new here. Tapscott seems to wait for the latest trends to pass and then writes about them as if they are new. If you've heard of Flickr, YouTube or Facebook, you already know what's in this book.